With a stay at Hanfulin Hotel in Wuhan, you'll be 7.6 mi (12.3 km) from Hubei Provincial Museum and 8.5 mi (13.7 km) from Wuhan University. Featured amenities include complimentary newspapers in the lobby and an elevator (lift). Free self parking is available onsite. With a stay at Jin Tai Zi Hotel - Zhuhai in Zhuhai, you'll be 29.3 mi (47.2 km) from A-Ma Temple and 31.2 mi (50.2 km) from University of Macau. Free self parking is available onsite. With a stay at Changchun Huatian Hotel in Changchun (Chaoyang), you'll be 4.6 mi (7.3 km) from Jilin University and 4.6 mi (7.4 km) from Eurasian Marketplace. Free self parking is available onsite. 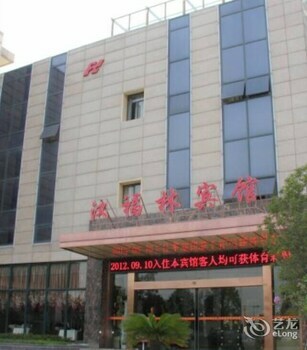 Located in Xichang, Yijia International Hotel is within a 15-minute drive of Xichang National Stadium and Xichang Chase House. A shuttle from the airport to the hotel is provided at no charge.